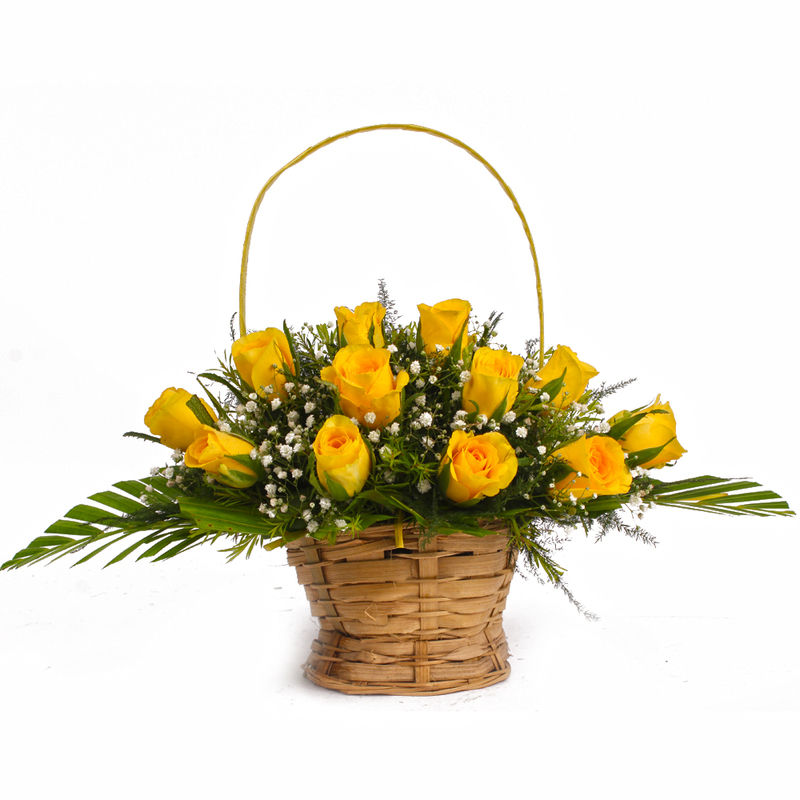 Product Consist : Basket of twelve Stem of Yellow Roses with green and white fillers. 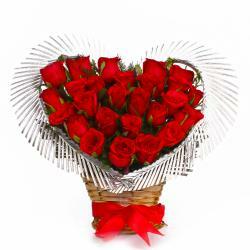 It is very difficult to express what you felt for somebody. 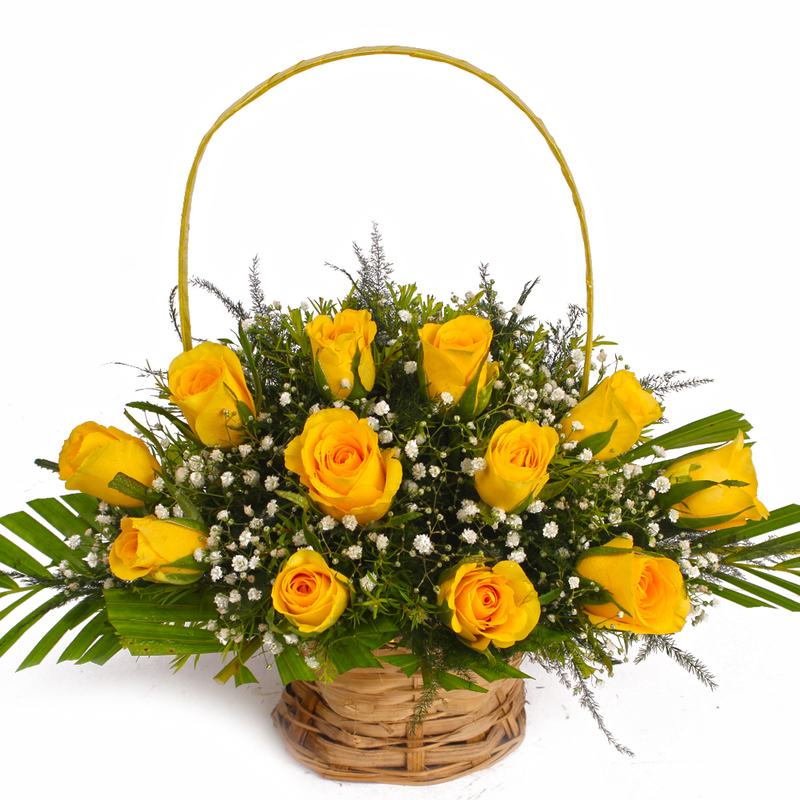 Not to worry at all, convey your heartfelt feelings of love and affection to your special one with this beautiful arrangement of different variations of flowers, basket arrangement of Dozen Yellow Roses with green fillers. 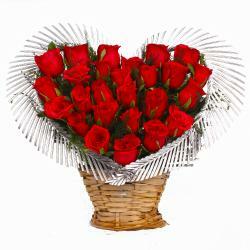 So what are you waiting for, just go it. 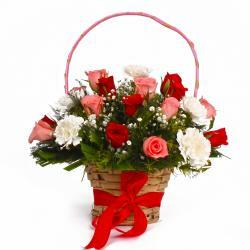 This fantastic fresh floral basket arrangement you can gifted at any occasion like Birthday, Anniversary, Missing You, Ganesh Chaturthi, Boss Day, Friendship Day, Mothers Day and many more. 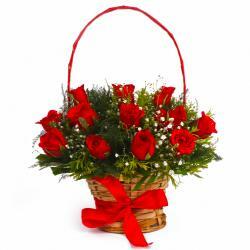 Product Contains : Basket of 12 Stem of Yellow Roses with green and white fillers.